The Central Asian region covers an area of some 4,000,000 km – stretching from the trans-Volga steppes in the west to the Altai Mountains in the east, and from the forest steppe of the West Siberian Plain in the north to the edge of the Iranian Plateau and the mountains of Parapamiz and the Hindu Kush in the south. Central Asia remains one of the most under-represented regions on UNESCO’s World Heritage List. Kyrgyzstan inscribed its first World Heritage property, Sulaiman-Too Sacred Mountain, on the list in 2009; Tajikistan’s first world Heritage property Proto-urban site of Sarazm, was only inscribed in 2010. To date, the sub-region made up of five nations has only inscribed eleven cultural sites (2 in Kazakhstan, 1 in Kyrgyzstan, 1 in Tajikistan, 3 in Turkmenistan and 4 in Uzbekistan) and two natural sites (1 in Kazakhstan and 1 in Tajikistan). 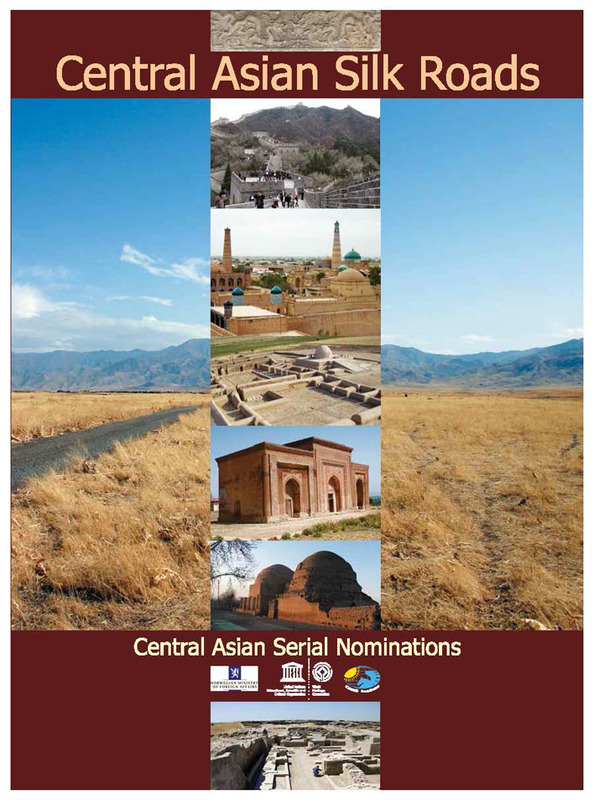 The concept of creating a serial nomination for the Silk Roads in Central Asia and China arose out of the 2005 UNESCO World Heritage Periodic Reporting Workshop. Central Asian State Parties identified undertaking a Serial nomination as a priority follow-up action that would enhance the representation and visibility of the region, whilst also allowing them to build upon their existing mechanisms of conservation and preservation, ensuring that manifestations of the longstanding cultural exchanges between the East and West are recognized to their fullest extent.